~Offer valid until 30 September 2019 and not valid in conjunction with any other offer. 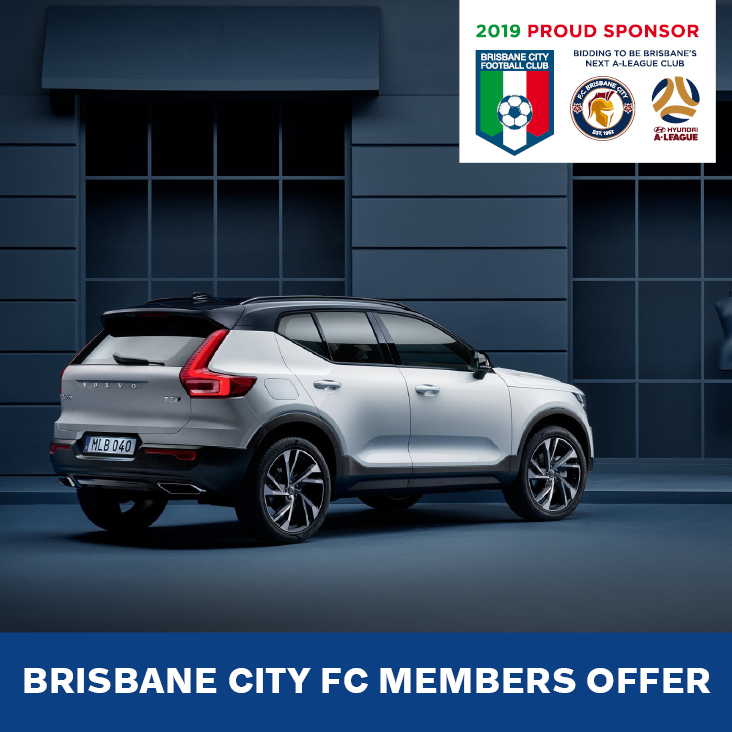 Offer Valid only at Volvo Cars Brisbane North. Mother’s Day Classic participants must show evidence of entry to the 2019 Event. Fees and charges are payable. Full conditions available on application. ~Offer valid until 31 December 2019 and not valid in conjunction with any other offer. Offer Valid only at Volvo Cars Brisbane North. BCFC Members must show evidence of affiliation to the club by way of membership card etc. Fees and charges are payable. Full conditions available on application.